On behalf of Mindrolling International we are happy to announce the upcoming Mindfulness Meditation Program which will take place from the 15th to 30th January 2016 in the Mindrolling Monastery in India. The program will consist of teachings on mindfulness meditation by Her Eminence Mindrolling Jetsün Khandro Rinpoche, as well as regular group meditation sessions. There will also be three days of intensive individual meditation sessions. During the program we also plan to include a three day Vajrasattva drubchö. 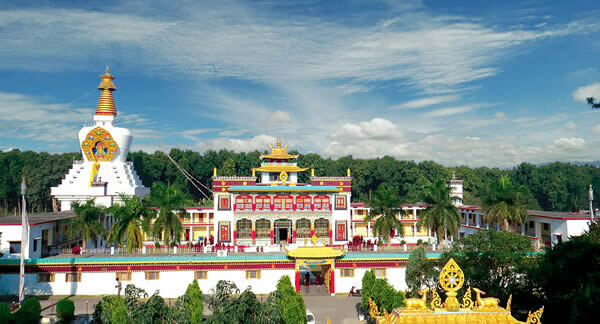 The program will give practitioners an opportunity to completely dedicate themselves to days of intensive study and practice of the Dharma, under the guidance of HE Jetsün Khandro Rinpoche and in the sacred environment of the Mindrolling Monastery. If you are interested in attending the program and would like to register and receive more details, please contact us at mindrollingretreat@gmail.com . Please note that it takes minimum one month to acquire the permit necessary to be able to stay at the monastery campus, therefore if you would like to participate, do contact us as soon as possible.